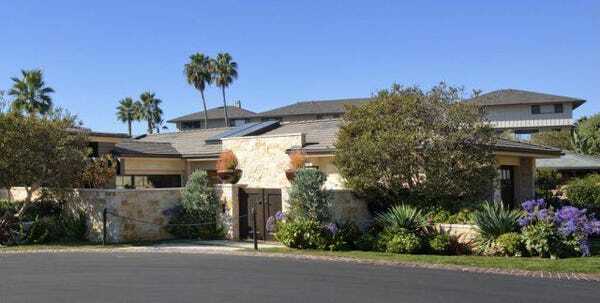 Billionaire Mark Cuban bought this $19 million beach house last week. Billionaire Mark Cuban, one of the stars of ABC’s Shark Tank, bought a $19 million beach house on the Southern California coast a few days before Christmas. The owner of the Dallas Mavericks basketball team plans to use the six-bedroom home as a vacation get-away, according to Villa Real Estate’s John Stanaland, who brokered the deal. The 7,800-square-foot house is on the grounds of The Montage in Laguna Beach, a five-star resort about an hour south of Los Angeles. Owners of the 13 private residences have access to hotel amenities including housekeeping, spa, and room service. Cuban’s deal was the highest-priced transaction at the resort this year, according to Stanaland. Currently, there’s another home for sale at The Montage: a five-bedroom home listed for $32 million. Cuban’s house sits on a bluff overlooking the beach and has glass doors that disappear into walls when occupants want to merge indoor and outdoor spaces. In addition to six bedrooms, there are nine bathrooms, a media room, a library, a wine cellar, a gym, and a theater. The views from the patios include the sun setting over the Pacific Ocean. Cuban was one of the founders of Broadcast.com in 1995. Four years later Yahoo! bought the company for $5.7 billion. Today Cuban owns the NBA’s Dallas Mavericks and has stakes in Landmark Theaters, Magnolia Pictures, and AXS TV. As of this week, Cuban’s net worth is close to $4 billion, according to a Forbes estimate. Cuban’s Fallen Patriot Fund has given more than $5.3 million to help families of U.S. military personnel killed or injured in combat, according to a statement from the charity.